Do Louvre Windows Leak? Even During Cyclones? A few years ago I bought a new tent. It’s one of those designs with metal poles, so appears very strong. For our first camping trip with the new tent we took the kids to a campsite next to a creek, not too far from home. The weekend started out overcast with light rain and the tent did a good job of keeping us dry. By Saturday night however, the rain was torrential and the wind was gusting to 60km/h. 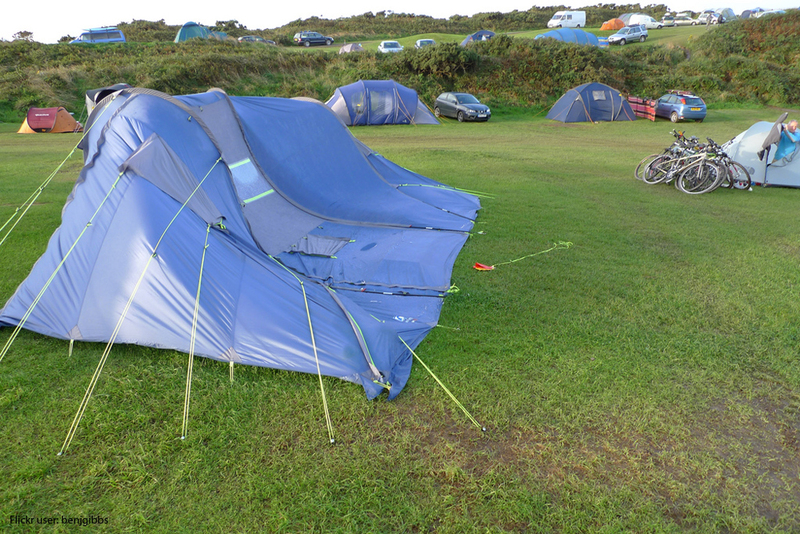 In these more extreme conditions the strong-looking steel poles were bending alarmingly and our tent suddenly didn’t seem quite as robust as it did when there was just a gentle breeze. As with tents, the true test of a window is not how it performs in light breezes and gentle rain, but rather how well it resists strong winds and heavy, wind-driven rain. And the most severe test is a tropical cyclone. I recently noticed some interesting observations on the performance of different window types in the Technical Report on Cyclone Olwyn published by the James Cook University Cyclone Testing Station(1). Tropical Cyclone Olwyn passed over Exmouth in Western Australia in March 2015 and was measured as a Category 3 cyclone with wind gusts of up to 180km/h. The Technical Report noted that the main cause of damage to buildings in Exmouth was due to water ingress from wind-driven rain. With windows and doors being two of the main water ingress points(2), the report then looked at the performance of various window types. The report noted that “Water ingress through sliding windows and doors was greater than for most other types of windows.” The report stated that the weepholes of sliding windows were one of the main ways water entered the buildings and then contained this memorable line “Some people reported that the water was spurting two metres from the window, and compared the jet of water with a garden hose.”(3) That’s quite a mental image! By contrast, the authors of the report noted that “In general, contemporary louvre windows performed well during Tropical Cyclone Olwyn. Homeowners reported only small amounts of water leaked into houses either between the panes or over the bottom lip of the louvre frame…”(4). These reports are similar to those gathered after Cyclone Yasi passed over North Queensland in 2011. Homeowners who had Breezway Altair Louvre Windows were unfailingly positive about their performance, both during Cyclone Yasi to keep rainwater out, and during fine weather to maximise cooling natural ventilation. These testimonies are well documented on the Breezway website on the Testimonial Page. (2)	CTS Technical Report No 61. Page 28. (3)	CTS Technical Report No 61. Page 32. (4)	CTS Technical Report No 61. Page 35.